The saxophone player performed with the group UB42, who impersonate his own 80s reggae band, at a pub in Ipswich, reported The Sun. 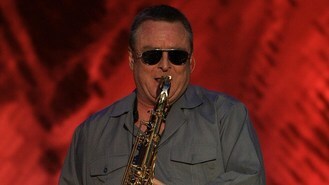 Brian, one of UB40's founder members, joined in for a string of the band's hits - and he doesn't plan to stop there. "I know of about twenty UB40 tribute bands around the world and it's my ambition to play with all of them," he said. "I can't think of a better way of thanking them for celebrating the music of UB40." UB42's lead singer Pete Ryder explained how the collaboration came about. He said: "They had a tour that was cancelled recently because their new album isn't ready yet so he had a bit of spare time and he decided he would come and join us." In 2011 Brian and three other members of UB40 - Jimmy Brown, Terence Oswald and Norman Hassan - were declared bankrupt. The band, who took their name from an unemployment benefit form, are known for hits like Red Red Wine, I Got You Babe and I Can't Help Falling In Love.